Six chunky and sturdy crayons in popular colours – a perfect addition to your craft supplies. 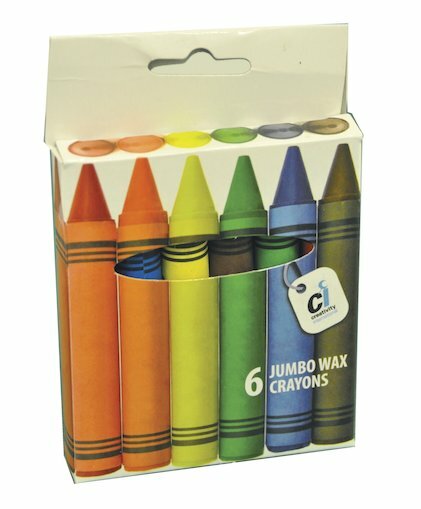 Encourage young children to express their creativity with these larger crayons, ideally suited to small hands. Non-toxic, bright, safe and with no sharp points, these are the perfect first colouring tools for all your budding artists.